Ah, the miraculous powers of footbaths. They can be warming and healing in the winter, soothing and soulful in the spring and fall, and even cooling and refreshing in the summer. But a homemade foot soak does more than help carry you through the seasons: Soaking your feet with certain oils and herbs can boost circulation, help heal certain diseases and has a powerful effect on your body and mind. Many people believe that in order to benefit from foot soaks, one must enlist the help of a spa professional. However, we’ll show you that not only can you easily make your own foot soaks at home, you have the potential to make homemade foot baths that take care of your entire body — from head to toe. Know what you want your foot bath to achieve: Depending on the answer, you’ll need to adjust things like temperature, add-ins and duration. If you have medical reasons for seeking a homemade foot soak, seek the advice of your doctor before trying any self-treatment at home. Check the temperature: Bathing your feet in water that’s too hot can lead to pain, redness, and even serious burns. Warm foot baths fall between 36-38 degrees Celsius, and hot foot baths run around 39-41 degrees Celsius. Mix oils with an emulsifier: If you plan to add oils into your foot soak, you’ll want to mix them with an emulsifier like milk, whey powder or cream first. 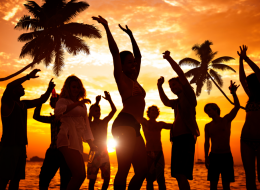 Otherwise, the oil will simply float on top of the water rather than fully integrating into your foot bath. Be sure your feet have enough room: In order to fully relax, you’ll need to make sure that your feet aren’t cramped into your footbath. Therefore, be sure to choose a bowl, basin or bucket that’s big enough for both of your feet to fit comfortably without any cramming. Footbaths of course benefit your lower extremities, but soaking your feet in cool or warm water actually affects your entire body, including your immune system, metabolism, circulation, nervous system and internal organs. The temperature stimuli does one of two things: warm water triggers the veins to expand and increases circulation, while cold water constricts the blood vessels and leads to invigoration. Dry Skin: Add honey, milk or cream into the water. Calluses and Corns: Add organic apple cider vinegar into the water to help break down the tough skin. 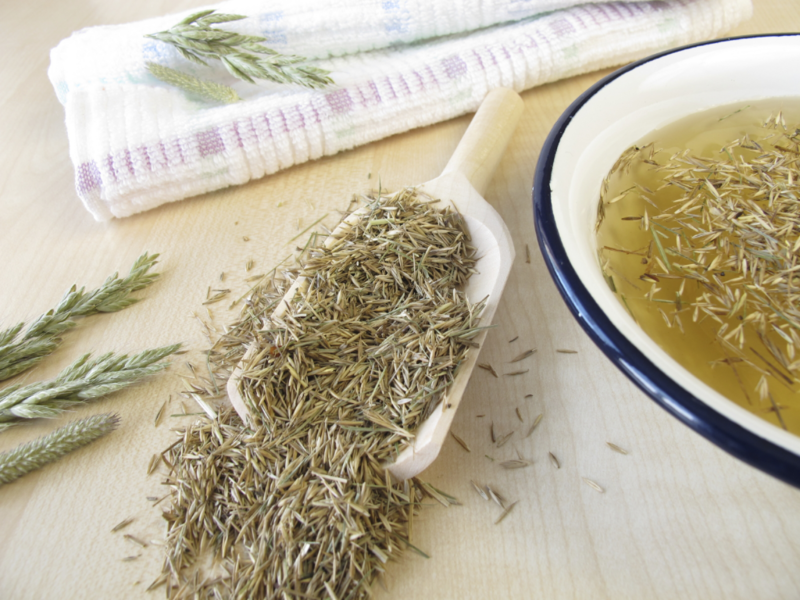 Aching Muscles: Add rosemary oil into the water. Fever: Try lemon oil and cold water to help cool your body’s temperature. 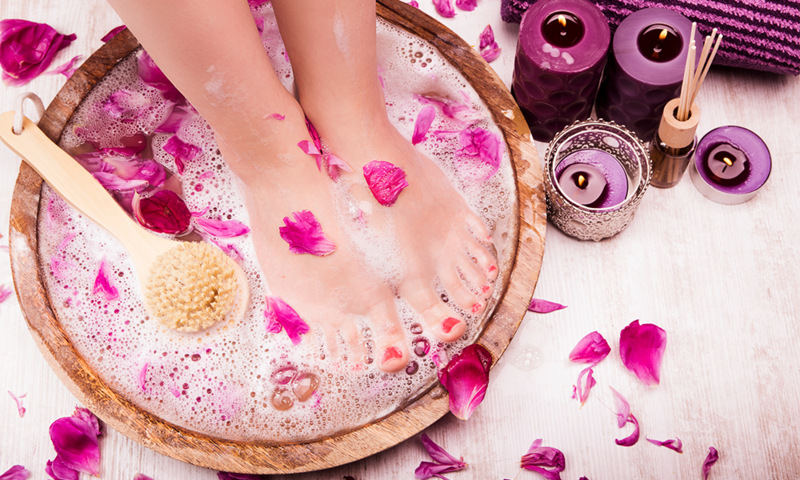 Hot or Swollen Feet: Add Epsom salt to the footbath, which has a cooling effect and can reduce puffiness. Circulation Issues: Warm foot soaks with black tea or ginger essential oil added to the water are best. Foot and Toenail Fungus: Add coconut oil and tea tree oil to the water, as they both have anti-fungal properties. Sweaty Feet: Add bergamot, sage or cypress essential oil to the water. Bodily Stress: Try a warm foot soak with lavender essential oil added to the water. Tiredness: Wake up your entire body by adding orange or lemon slices to the water along with fresh mint or peppermint essential oil. Who Should Avoid Foot Baths? Not everyone benefits from soaking their feet in water. For example, doctors warn that diabetes patients and people who have acute venous thrombosis should avoid footbaths altogether. Meanwhile, people who have acute cystitis, hypertension and circulatory disorders should avoid cold foot soaks. And finally, anyone with varicose veins and arterial circulatory disorders should stay away from warm and hot footbaths. If you are unsure if you should try a homemade foot soak, speak with your doctor first to lessen the chance of medical complications.